Canstruction. Build for Fun. COllect for Charity. 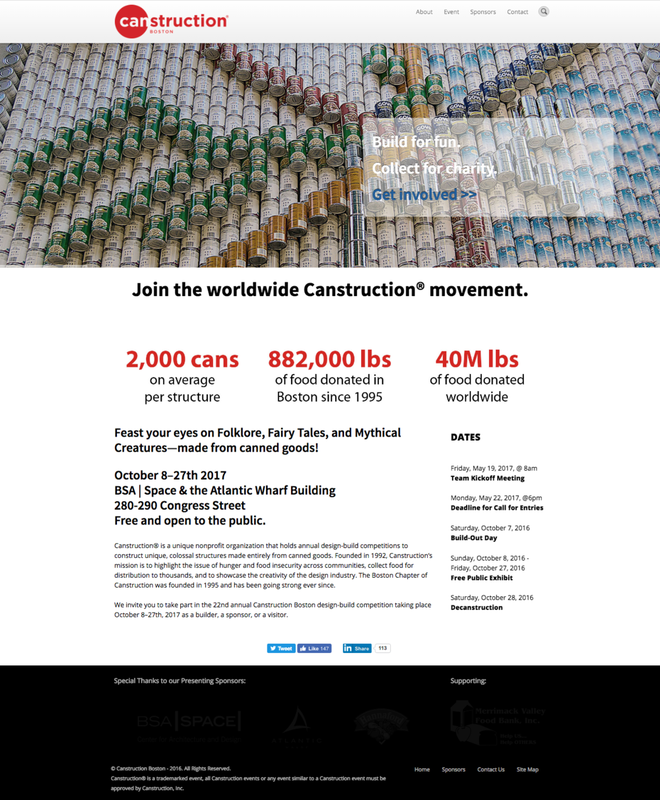 Canstruction approached Howl looking for stronger messaging and an audit of current and new content on their site. Shifting focus from copy-heavy and unfocused pages allowed us to abandon complicated site architecture. The streamlined and fresh look, plus some new copy makes the site easier to navigate and provides a better tool for converting sponsors. 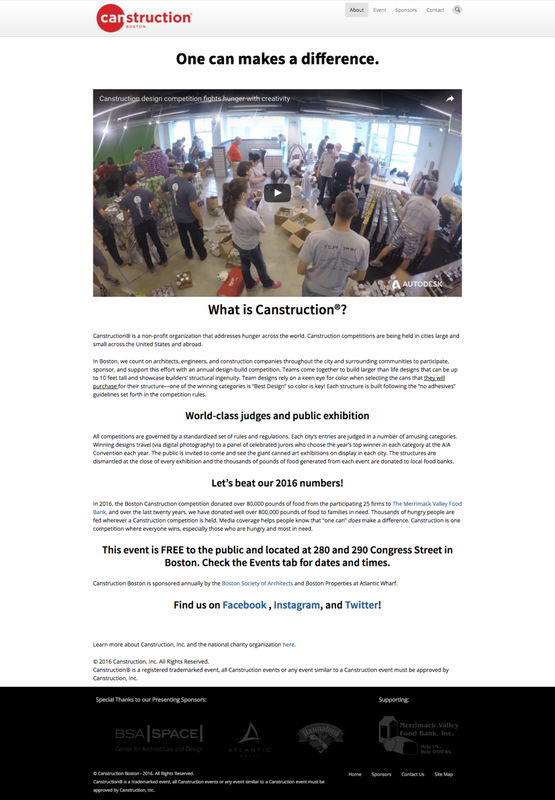 "We hired Cheryl to assist with a refresh of our online brand presence/website for the Boston chapter of the national charity Canstruction. Cheryl took the time to understand our mission, vision and values and developed a straightforward strategy that captured what was most important to our overall objectives. Then, she synthesized our vision into fresh copywriting, website wireframes and format updates. The final result adds brand credibility to our organization and enhances our ability to garner interest from new stakeholders. Thank you Cheryl for your efforts!